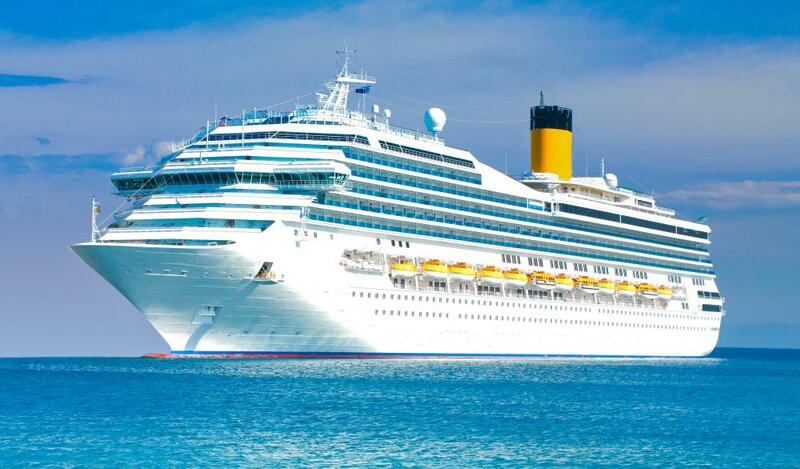 Traditional cruise ships carry thousands of passengers at once. A man wearing semi-formal clothing, which may be required on small ship cruises. Less passengers at the buffet table are one of the perks of traveling on a small cruise ship. Small ship cruises are often described as those with a maximum of 500 passengers. Some small ship adventures carry as few as 10 or 12 passengers. By contrast, many traditional large cruise ships carry thousands of passengers at once. Cruises on small ships may be preferred by those who want a more intimate travel setting and/or more of a focus on a few activities rather than a wide variety of them. A small ship may offer only one or two exercise choices, while the traditional ships often have five or six options. The entertainment options also tend to be very limited on smaller cruise ships. Some small ship adventures have only the sport or activity that is the focus, such as deep sea diving. In general, small ship cruises are more likely than the big ships to offer intellectually based activities such as educational lectures about the wildlife or other natural attractions in the area. Large musical shows and extensive casino amenities are not typically available on small ship cruises. There may be limited offerings in these areas, but usually nothing as large or glamorous as is offered to passengers on most regular-sized cruise ships. Many travelers choose a small ship cruise over a large one to have a more intimate travel experience that is typically informal, yet focused on all aspects of the cruising area including the local cuisine. For instance, on a small ship river barge cruise, the emphasis may be on gourmet cuisine enjoyed in a fairly laid back setting. Many small ship cruises allow passengers to sit where they choose for meals, whereas on large, traditional ships, dining room seating is often assigned. There are also fewer lines for buffet meals on the smaller ships as there are a lot fewer passengers on board. Many large cruise ships require formal dress for some evening meals, while semi-formal is as dressy as most small cruise boats tend to get. Some adventure small ship cruises may have only a casual dress code. Small sailing vessels are a typical example of this. Passengers who choose these adventure cruises tend to be looking for a hands-on experience that may still be elegant, yet more practical in its approach to dressing. Sailing or diving equipment will be needed more than fancy clothing on a small adventure cruise. Depending on the type of small ship cruise, the trip could last from just a few days to a month or more. What Are the Best Tips for Choosing a Cruise? What Are Cruise Ship Musicians? What Is a Pocket Cruiser? What are the Different Types of Ships? @Sneakers41 - I agree with what you are saying, but some people like to take it easy and make a few friends and enjoy a good meal. I think that people that are really intimidated by a large ship might enjoy a small cruise like this when there are no demands of their time and they can take it easy. I also think that dining wherever and whenever you want is a plus on these ships, but now many of the larger ships are now giving people a lot of dining options so you don’t necessarily have to eat when your assigned dining time is. I think that I'd like to try a cruise on a smaller cruise line to compare the for myself. I can see why some people would be drawn to the small ship cruise lines because they are informal and relaxing, but I prefer going on a large cruise ship. I like being on a large ship because there is always a lot of entertainment on the ship and there is always something to do. When I went on the Oasis of the Seas, which was considered the largest cruise ship at the time I could not get over it. It was an amazing experience. Because the cruise line was catering to so many people the entertainment on the ship was great and so was the food. surfing, along with a zip line. There was also nightly entertainment and the shows were Broadway quality. The only downside to such a large ship is that sometimes there was a line to participate in the more popular attractions. We also had to make our reservations for our shows before we even got on the ship in order to get the best seating.